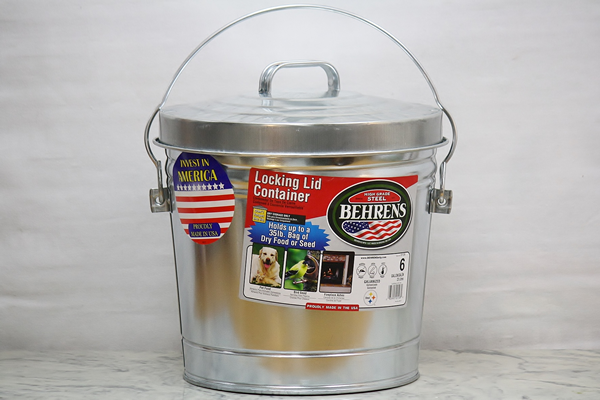 This pail has a lid that securely locks to keep squirrels and other tiny critters out of your pet food, animal feed, and anything else you'd like to protect. It's durable electro-galvanized steel construction prevents rust, meaning that whatever you store will stay safe for years to come. We also offer 4 Gallon and 10 Gallon styles. We have a few of these that we use to hold things like chicken feed and bird seed. We've never had any critters get into it.